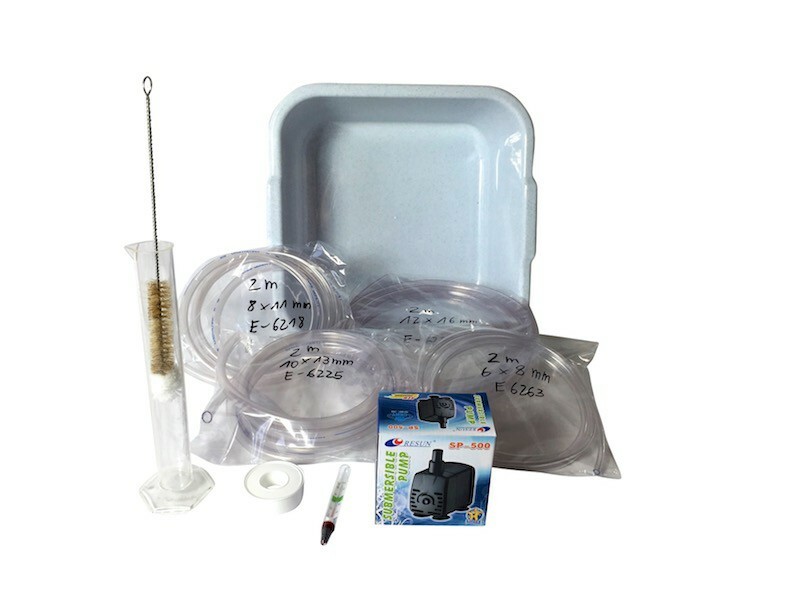 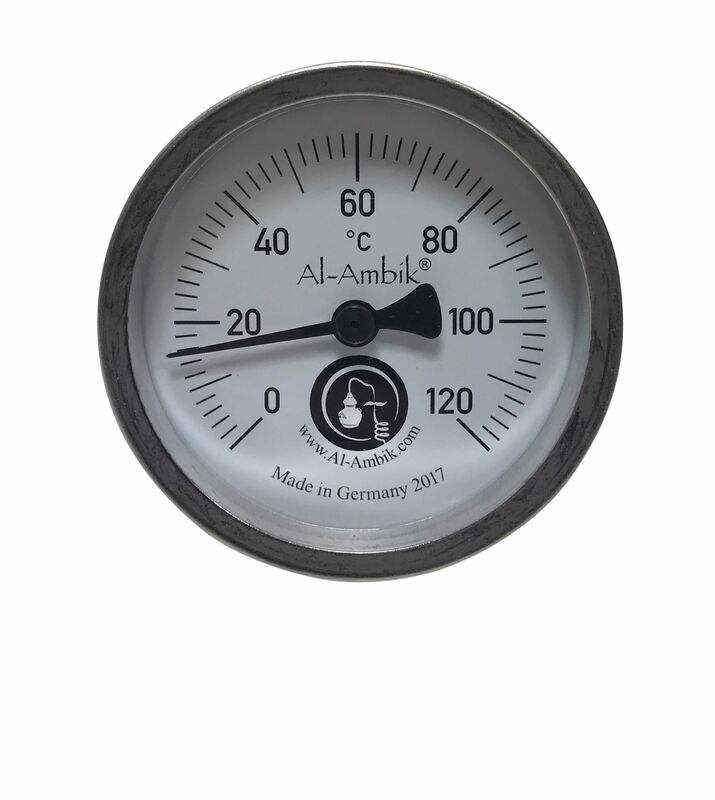 Only for export, not authorized for use in Germany! 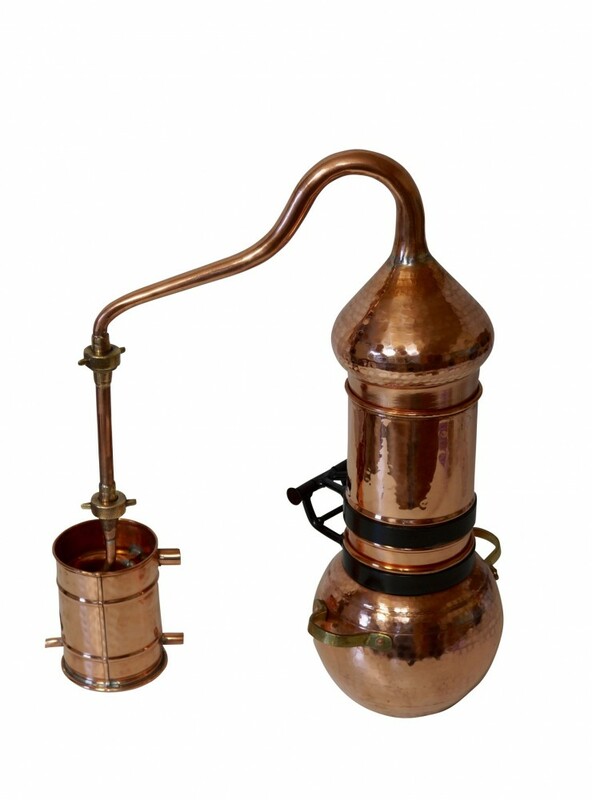 A small hand-forged alembic still which can be legally used in Austria, Italy and Switzerland. 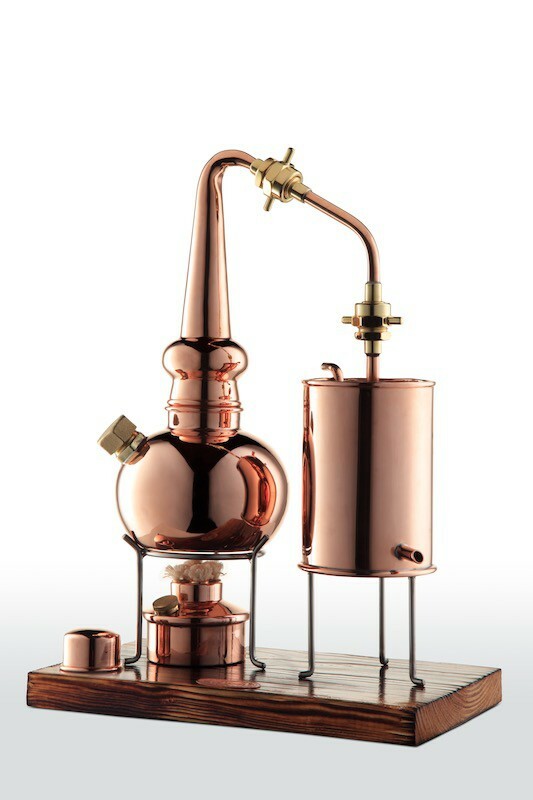 2 liter alembic still from the CopperGarden forge: this meticulously hammered original alembic still is made of thick copper and, like the large alembic stills, consists of three parts: the riveted and organically sealed boiler with about 2 liters capacity, the swan neck attachment (head, swan neck and lyne arm), and the screwed on condenser with integrated cooling coil. 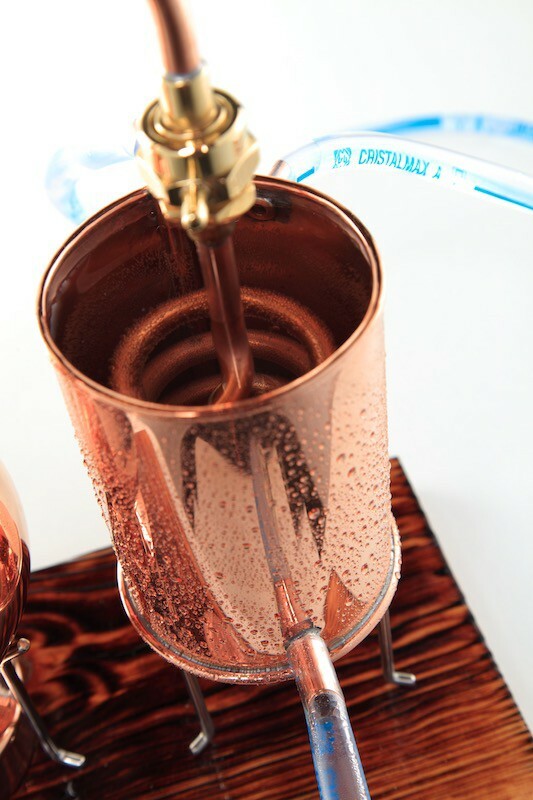 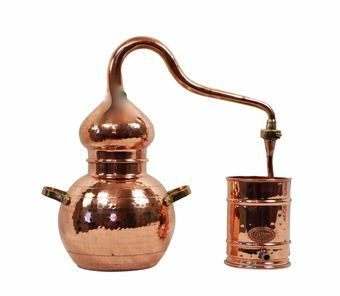 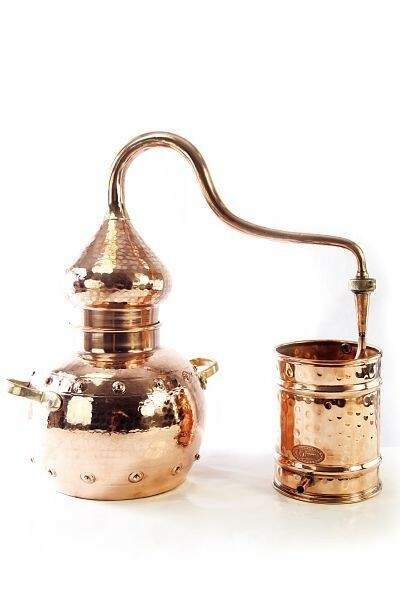 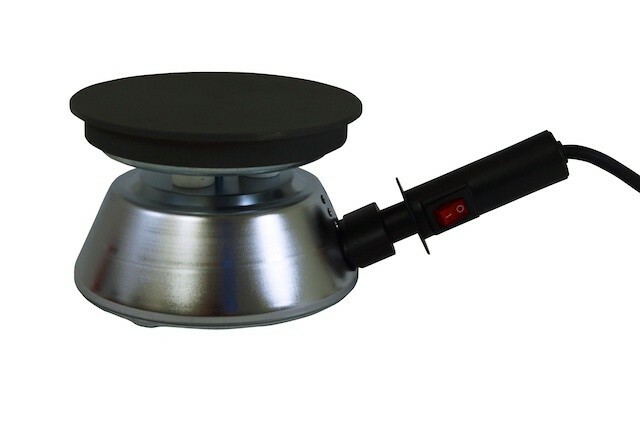 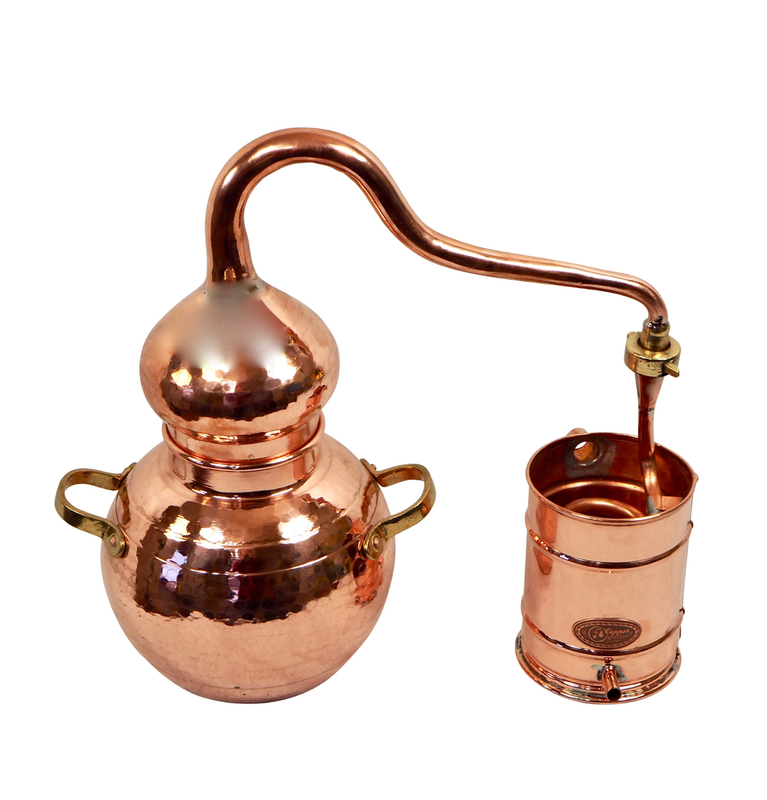 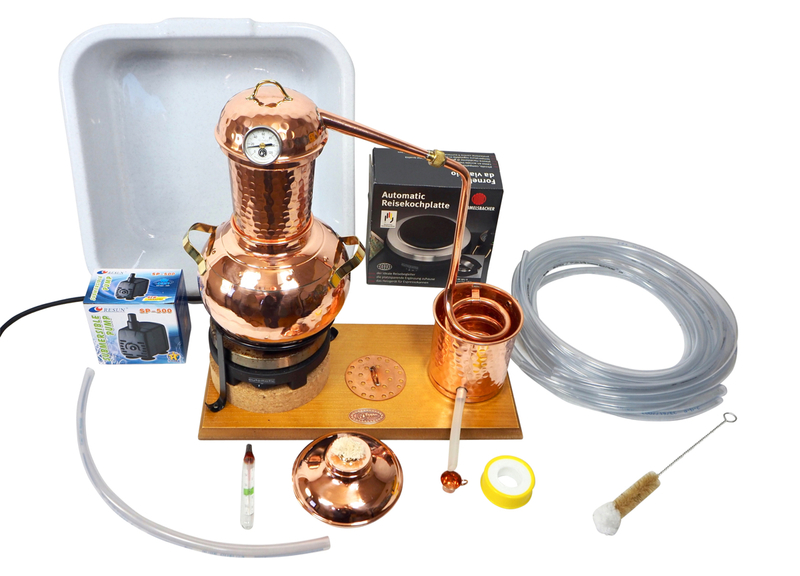 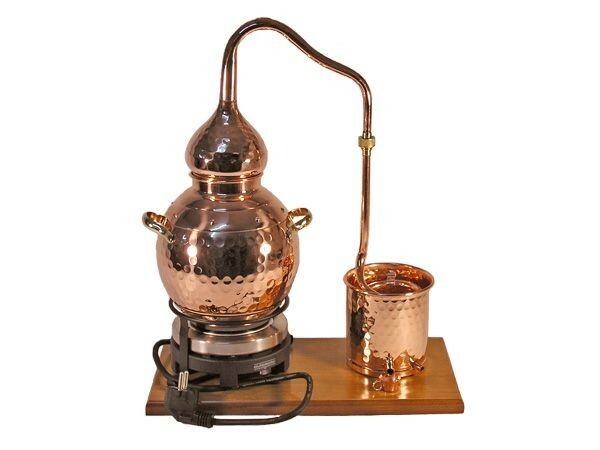 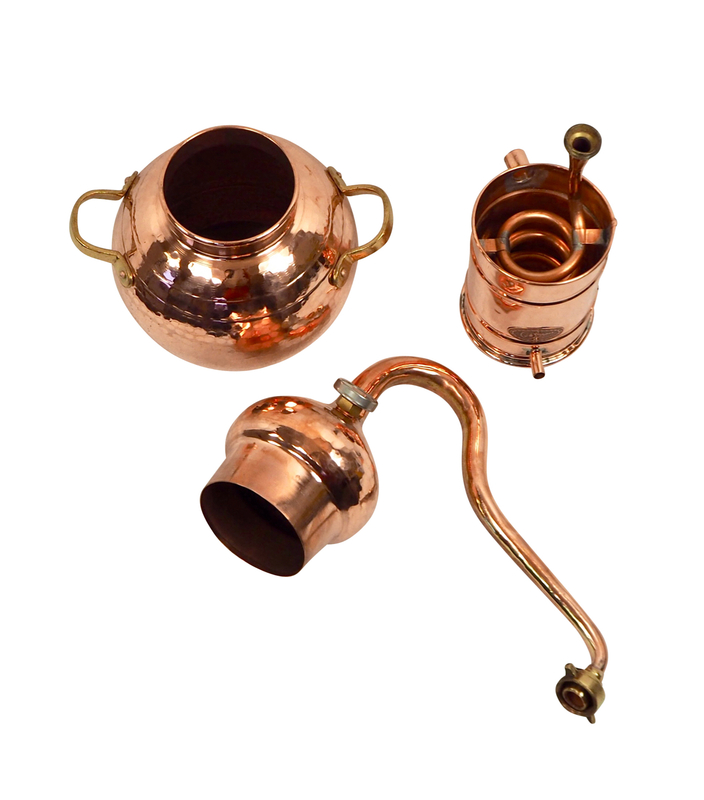 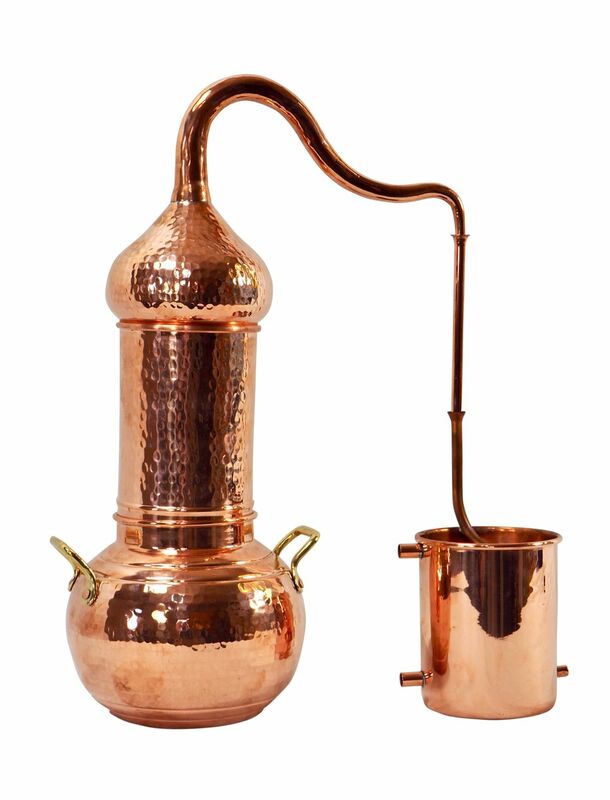 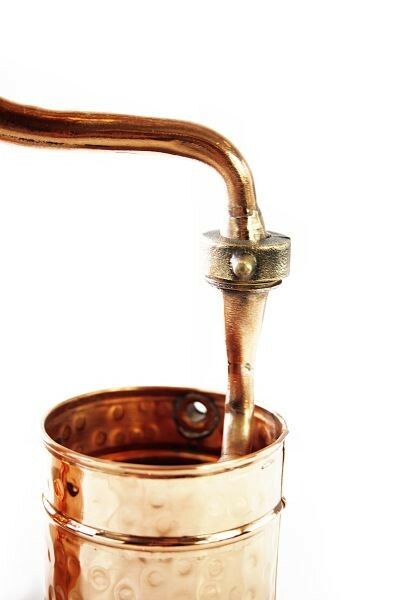 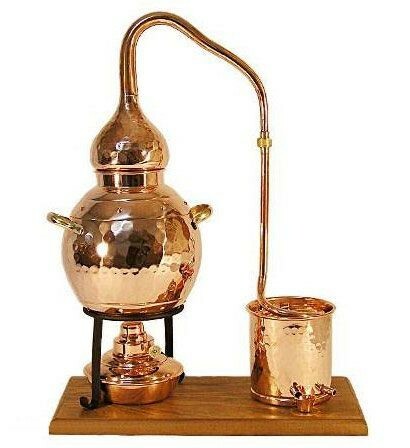 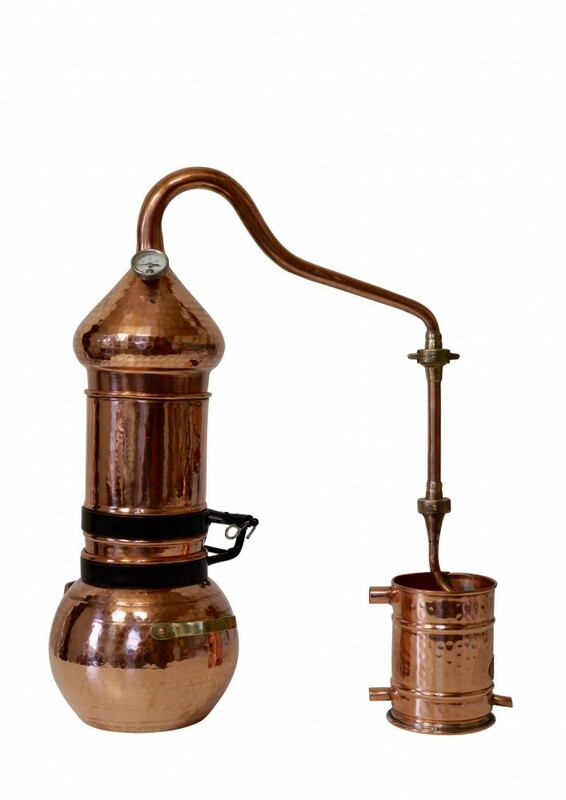 The classic among stills, it is completely made of copper and beautifully riveted, which makes it an excellent decorative object for every display window, laboratory, pharmacy, bar, etc.